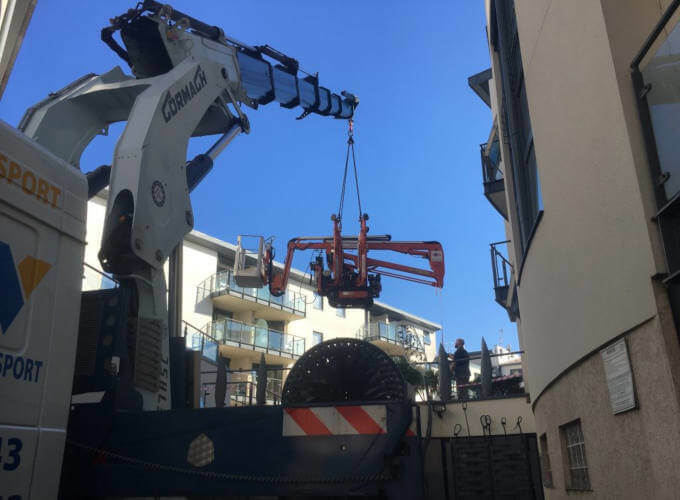 MC Property Maintenance is currently redecorating an apartment block in central Brighton, unfortunately even with the flexibility of our Easylift R150 we cannot always position our cherry picker where we need them. 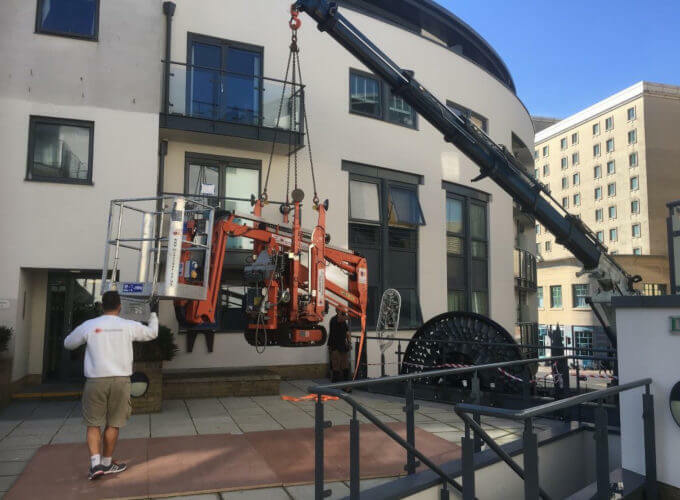 This morning we called one our support network contractors to crane our cherry picker into the correct position. With this type of restricted access to a site, thinking out of the box is essential if the job is to be completed correctly and on time. I hope the people of Brighton will forgive us this neccessary inconvenience, I’m sure all the children and adults that passed by, spent at least 5 minutes of their morning watching this awesome sight. If you have any queries about access for a project that you are considering, why not call us on 01243 530076. We would be delighted to help and advise you in any way we can.